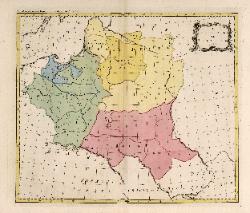 various atlases. 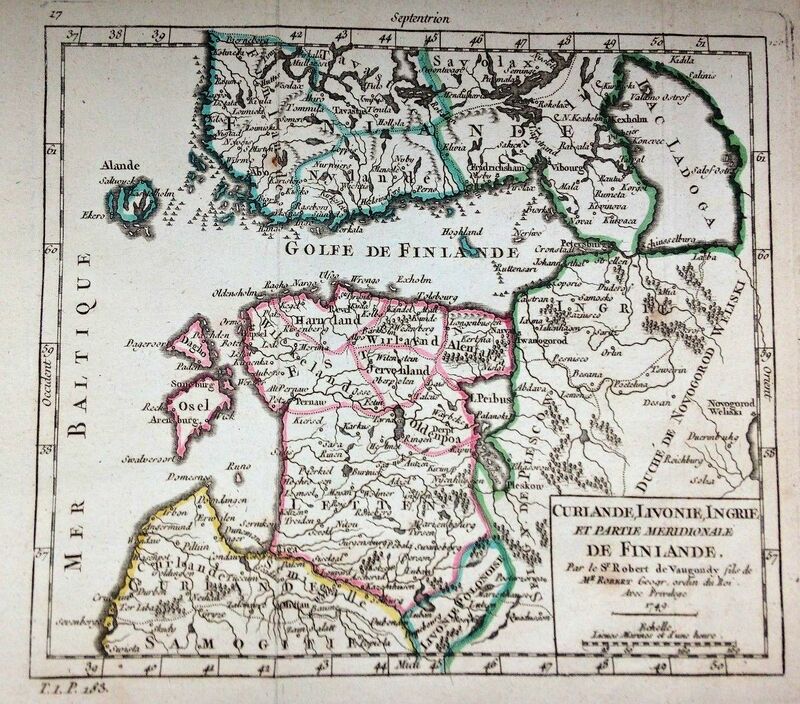 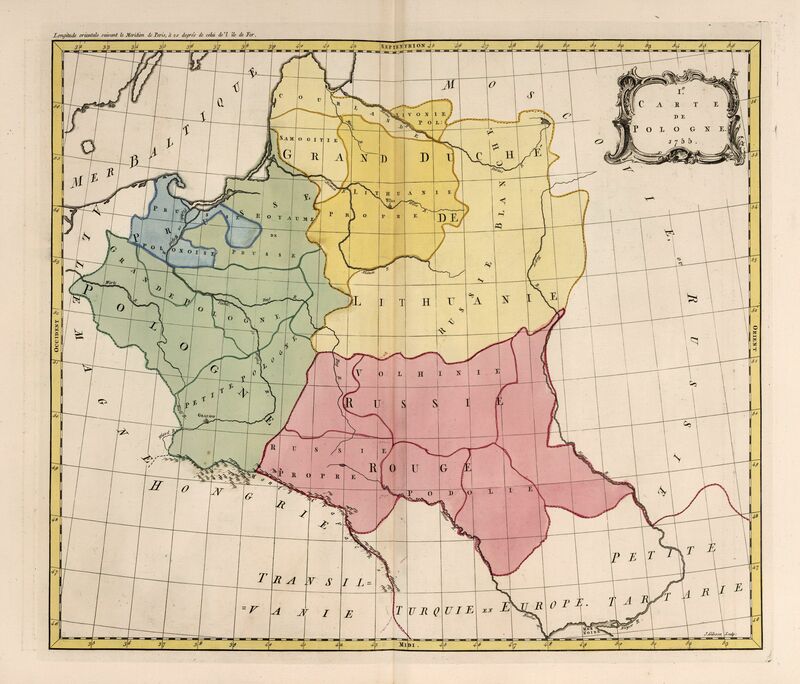 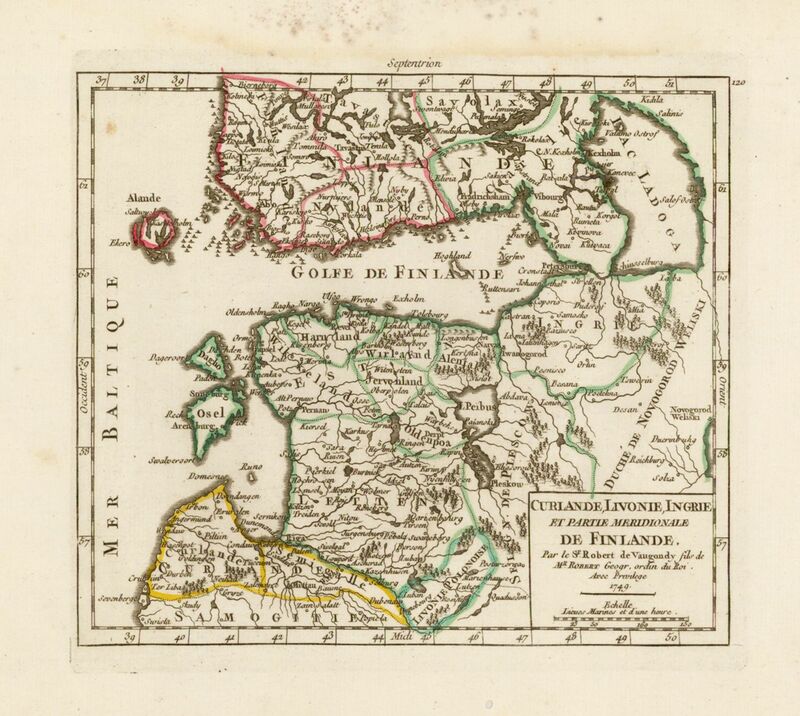 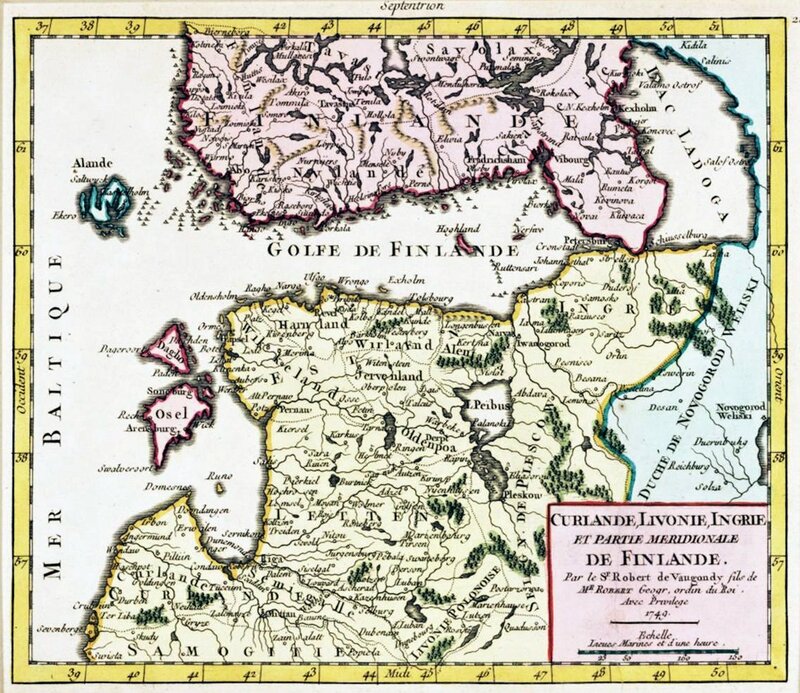 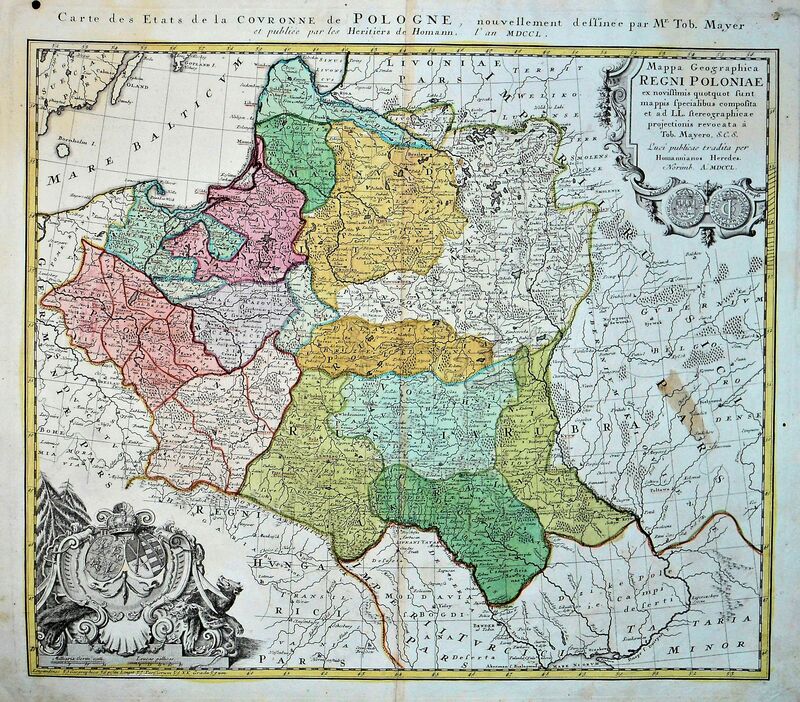 See the versions dated 1757 and 1773.
of " A new geographical and historical grammar..."
1752 Didier Robert de Vaugondy: "Curlande, Livonie, Ingrie et Partie Meridionale de Finlande Par le Sr Robert de Vaugondy Fils de Mr Robert, Géog ord du Roi avec Privilege 1749,"
Gilles usually used "Gilles Robert" or "M Robert." 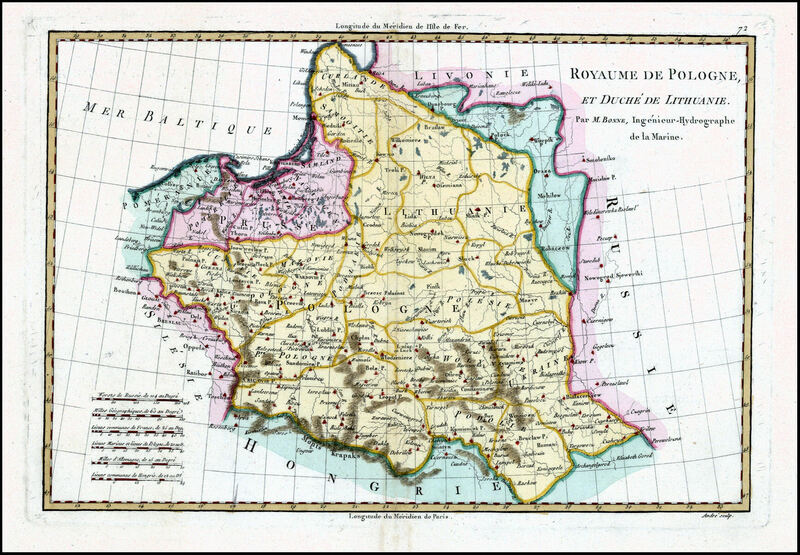 REGNUM ut et MAGNI DUCAT. 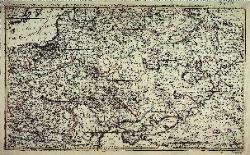 atlas. 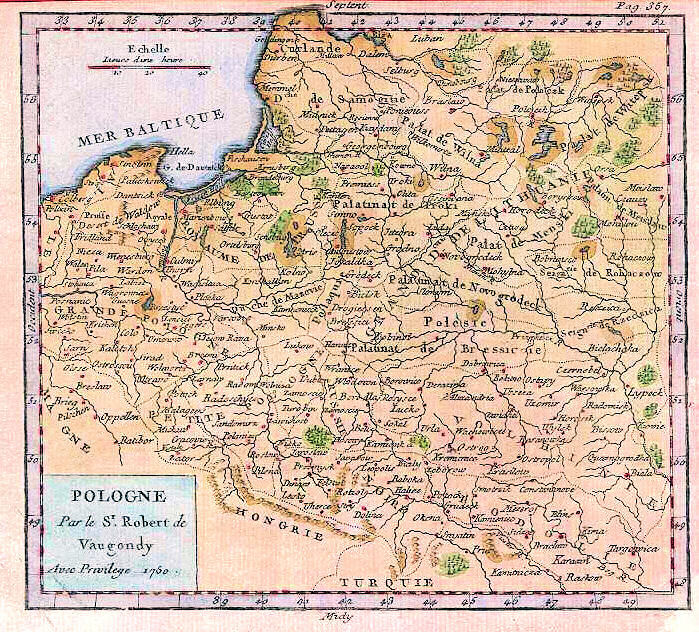 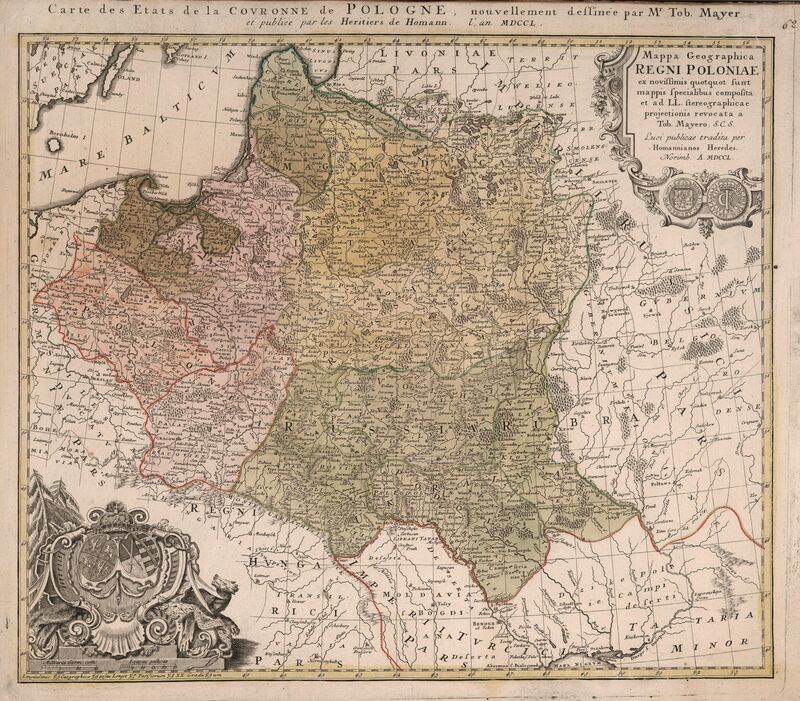 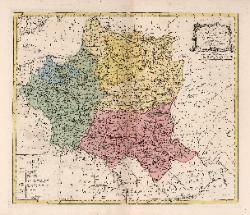 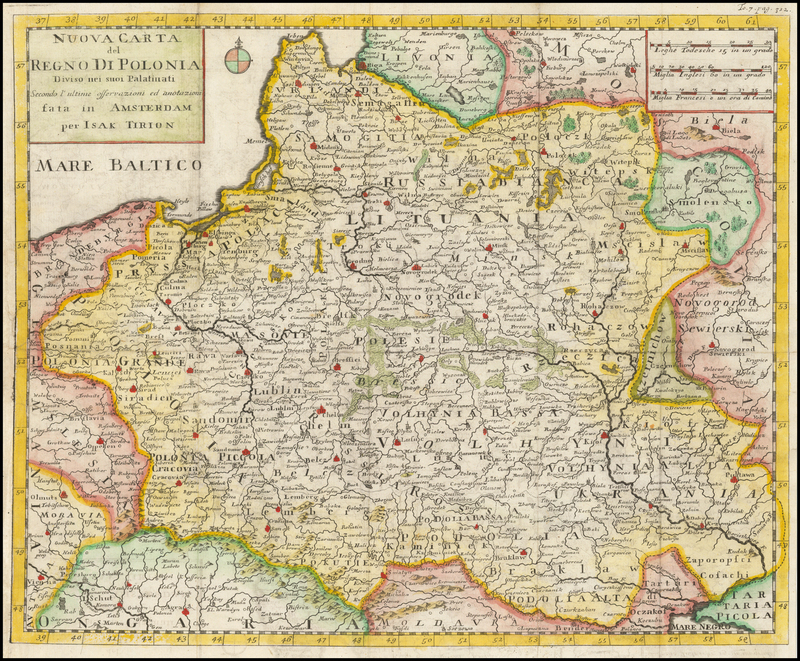 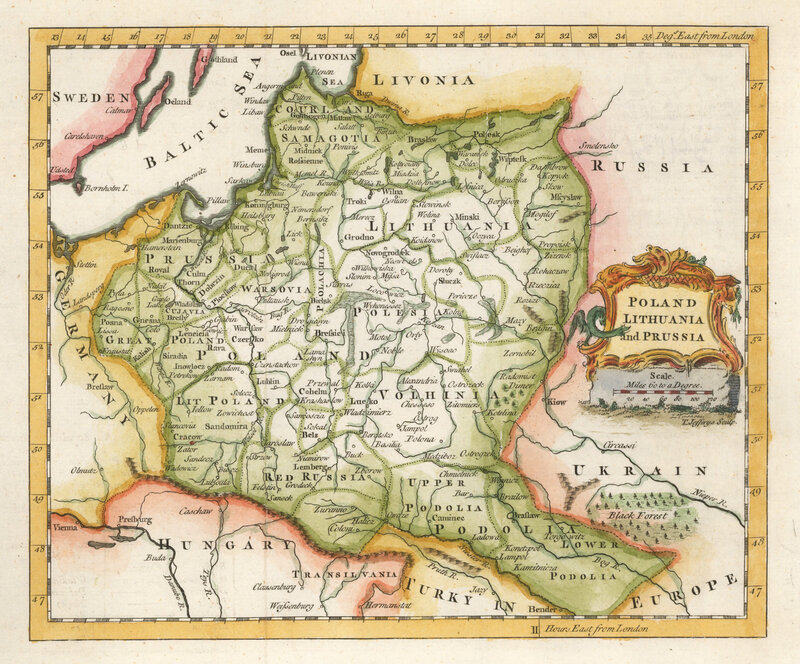 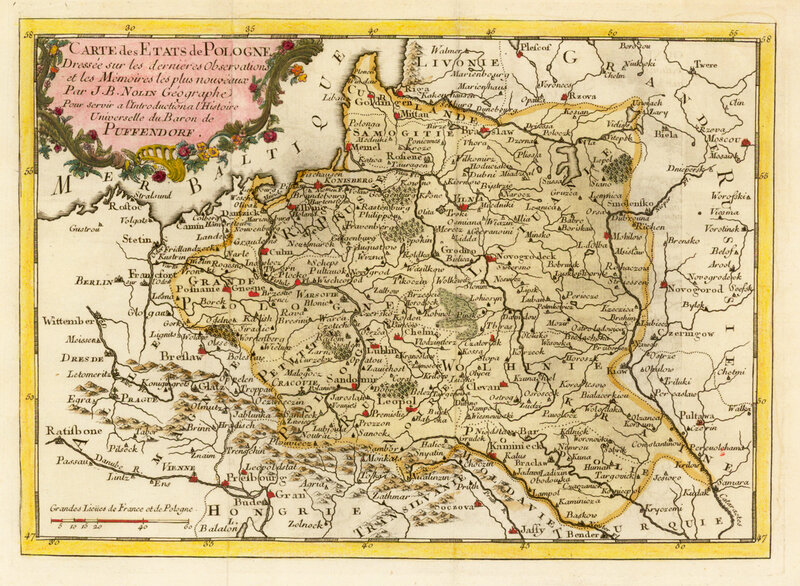 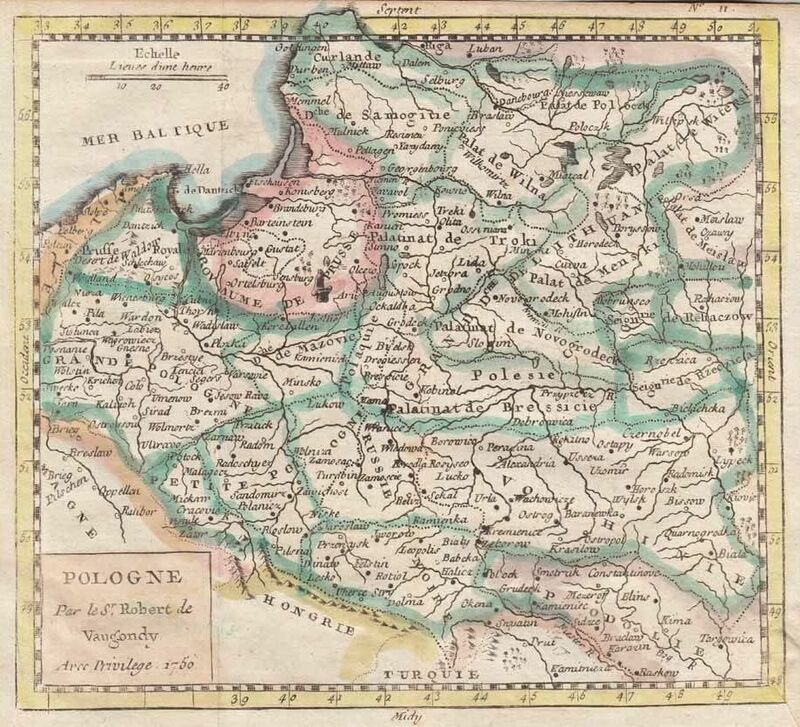 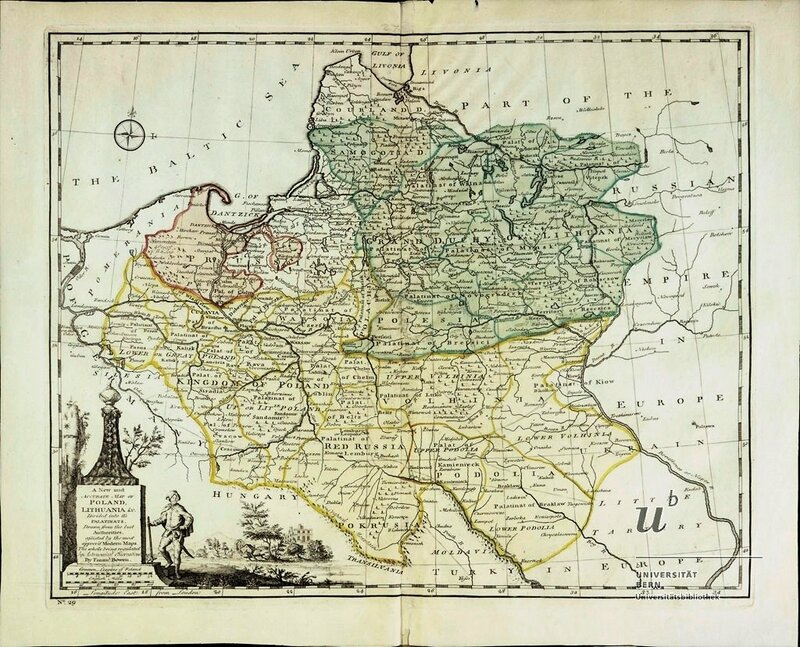 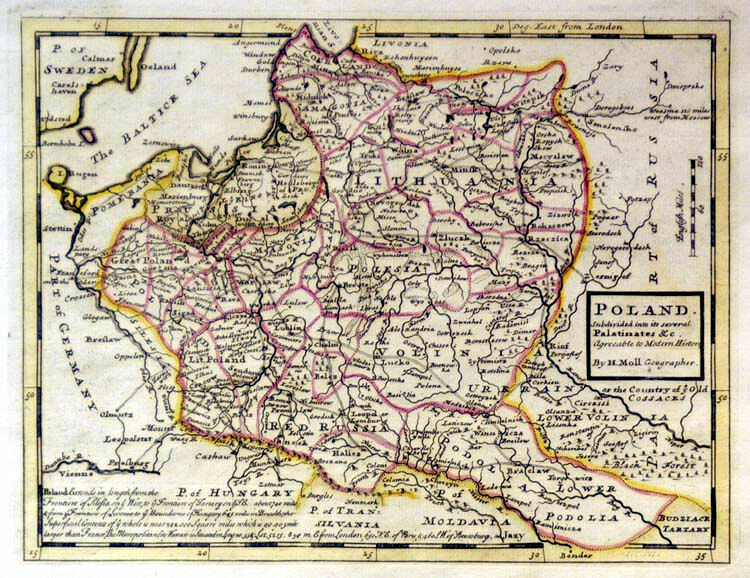 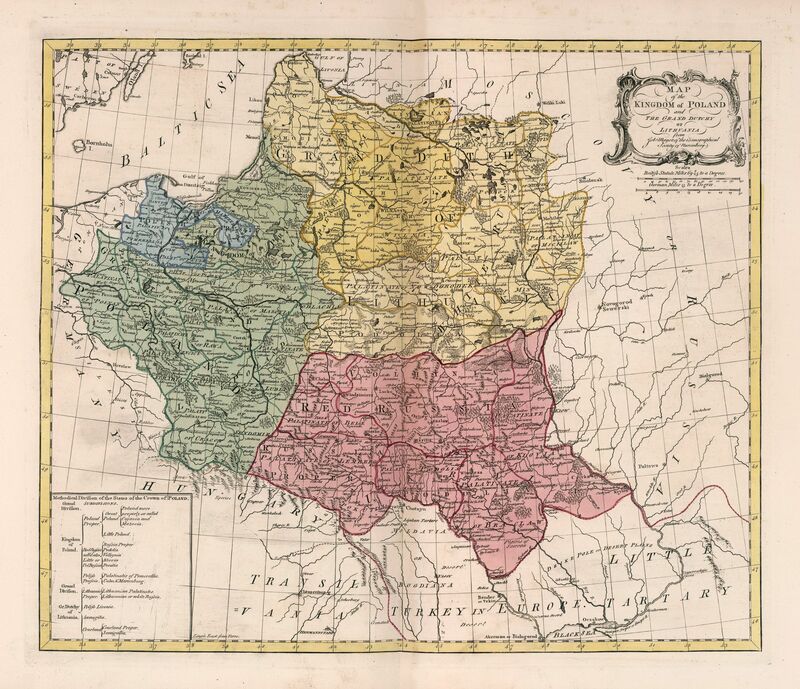 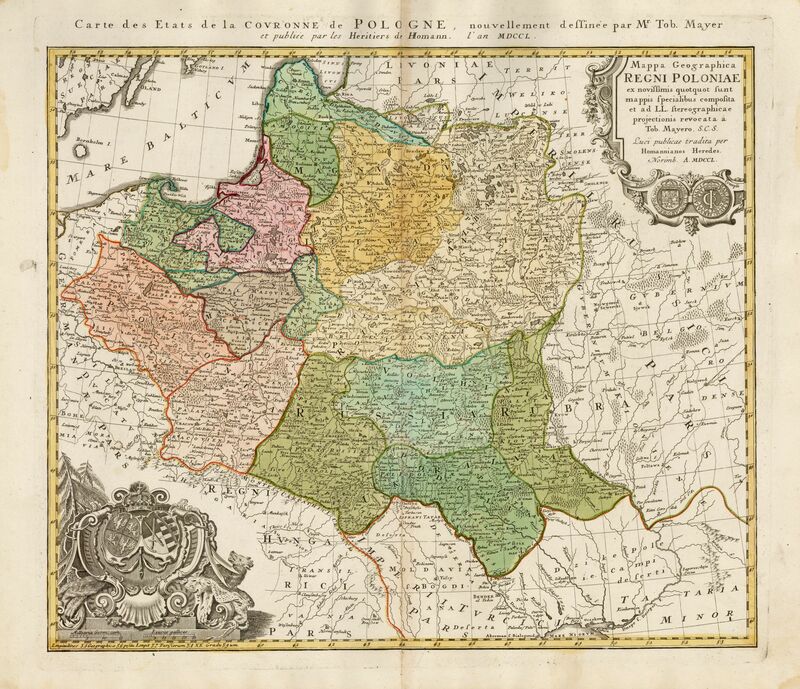 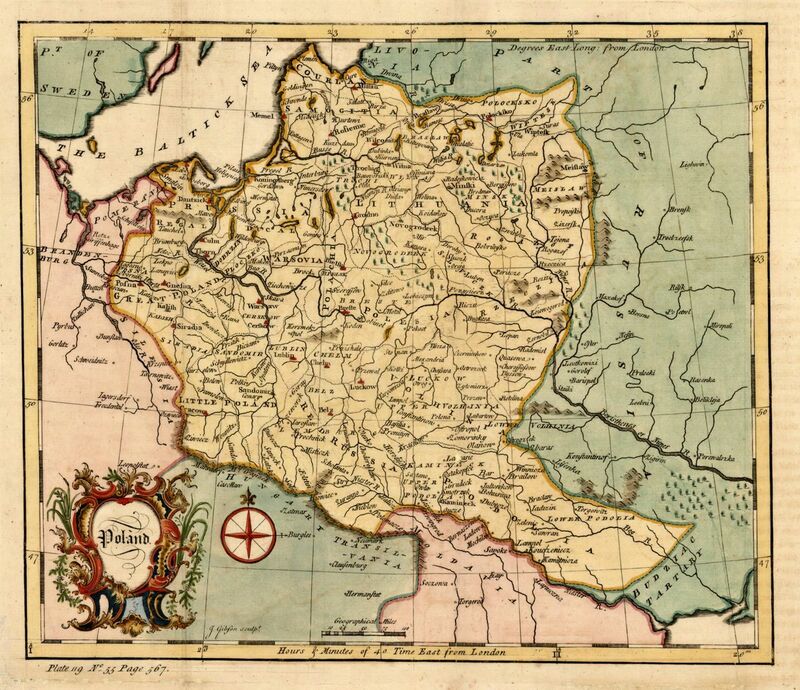 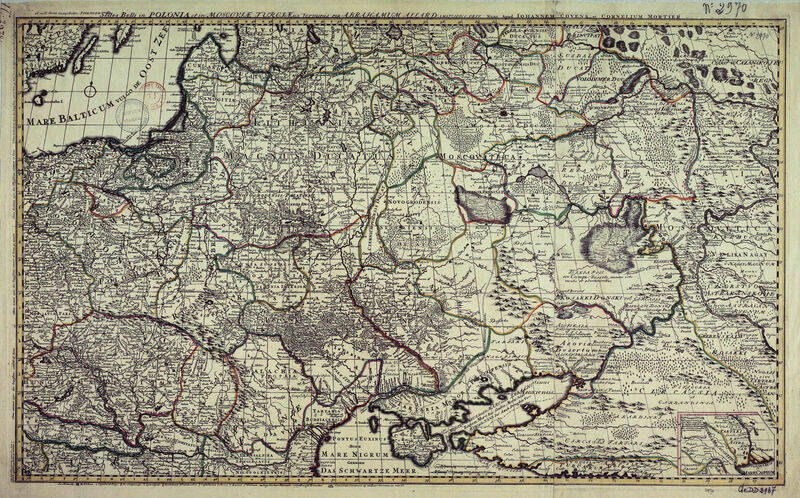 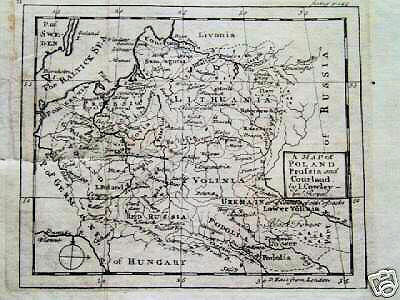 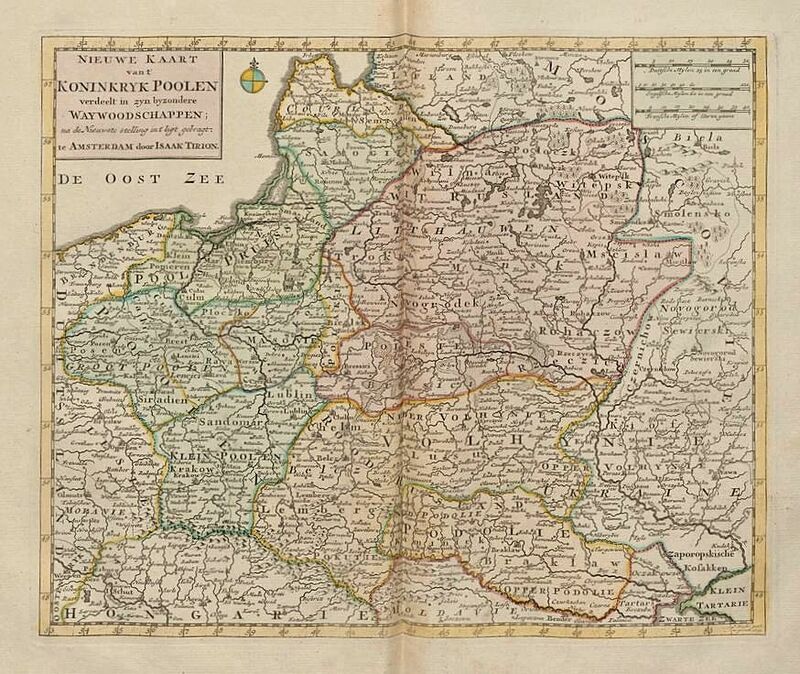 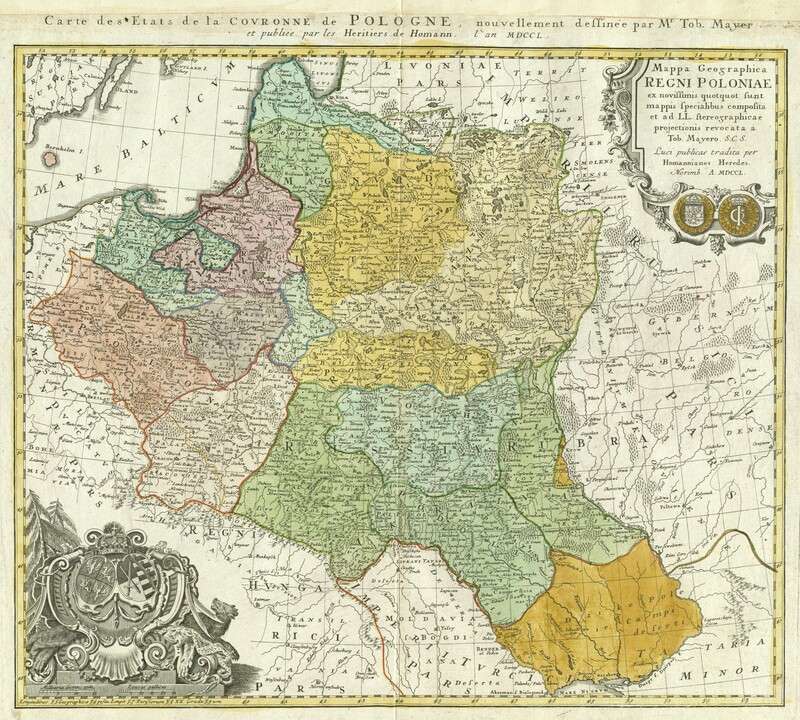 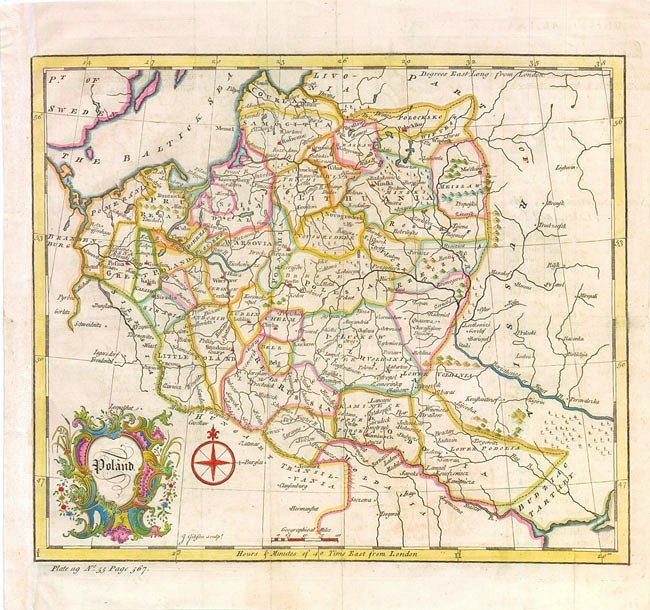 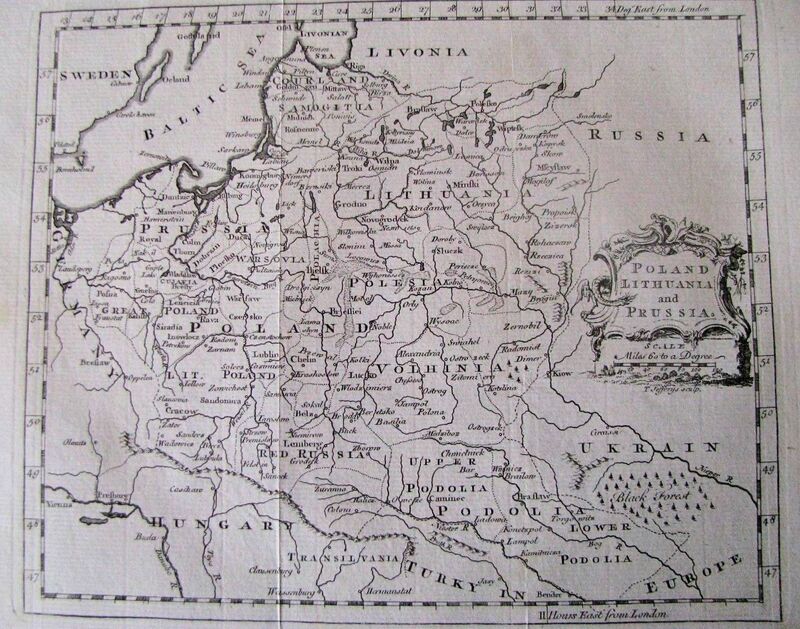 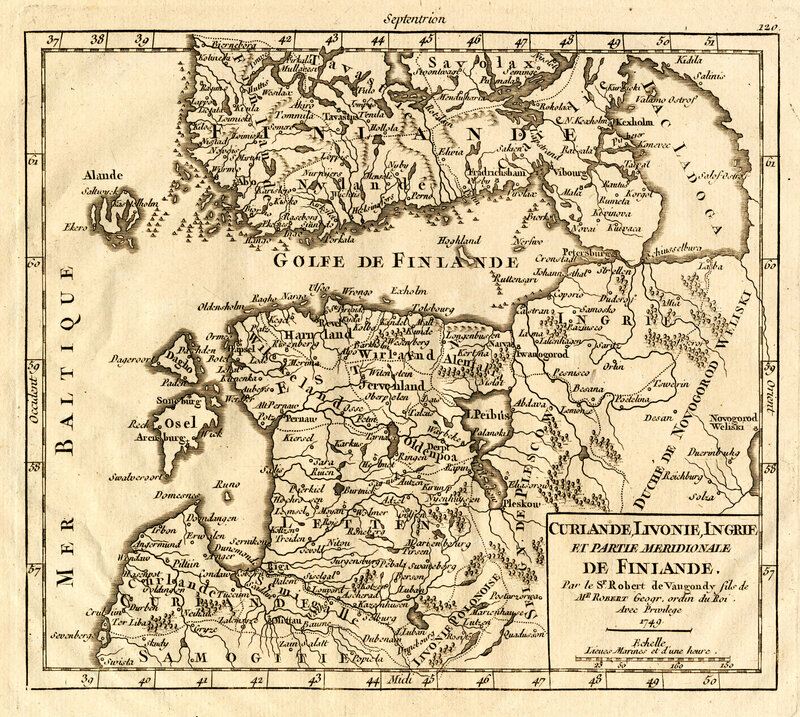 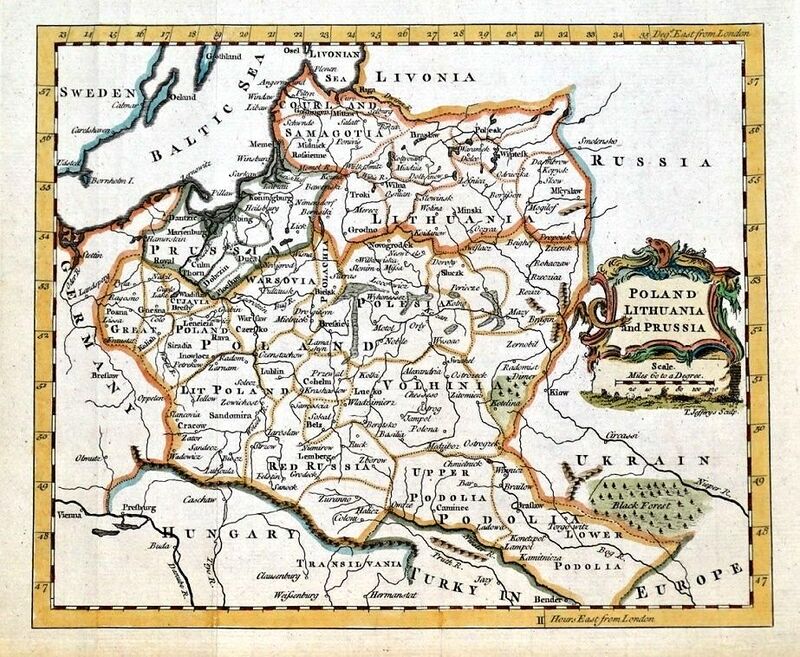 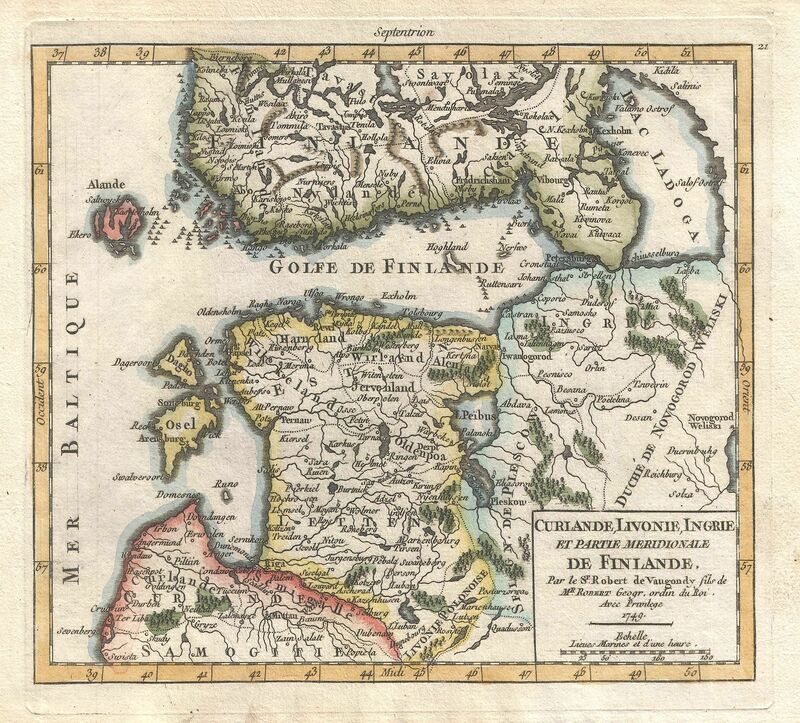 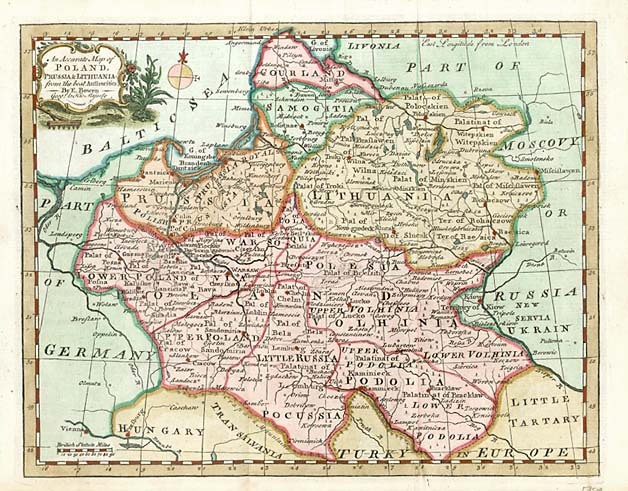 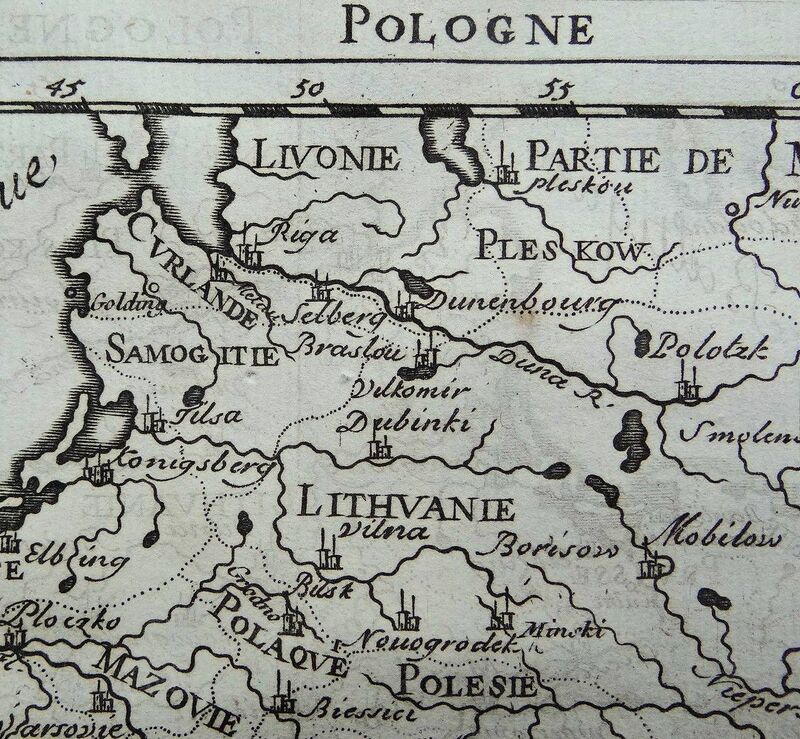 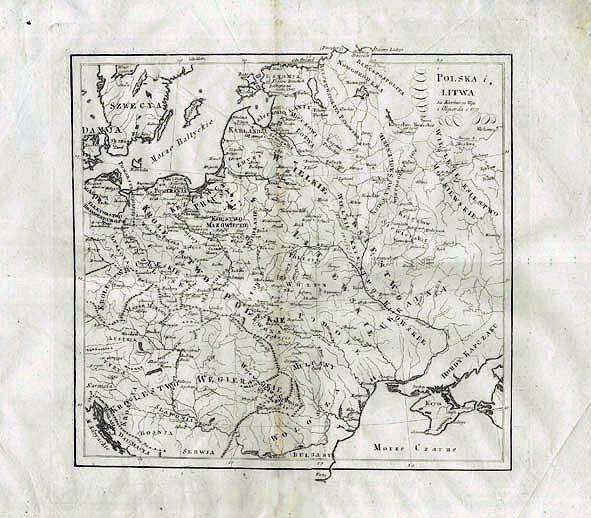 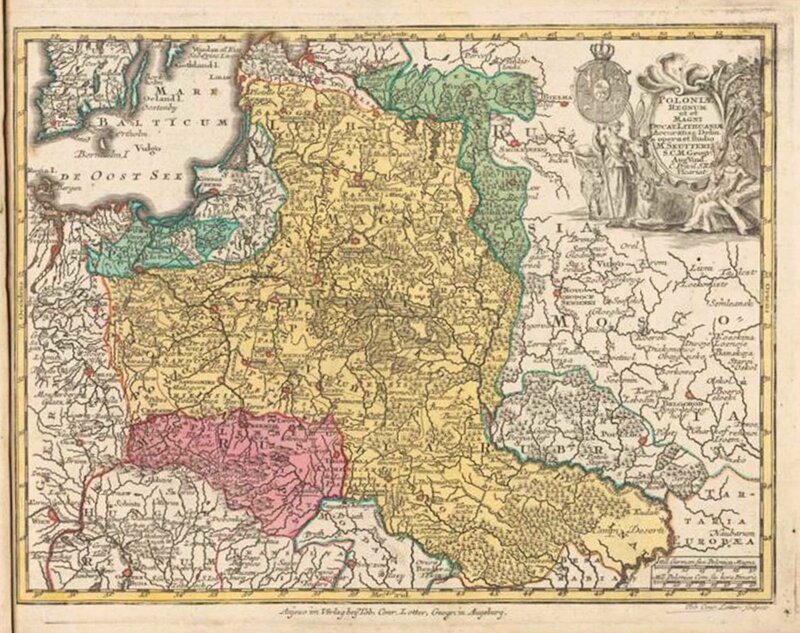 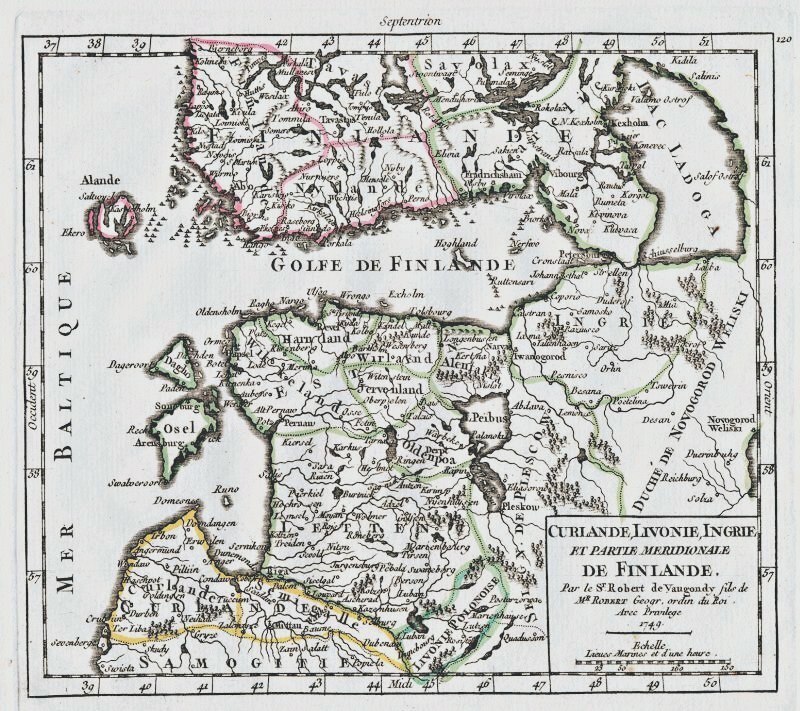 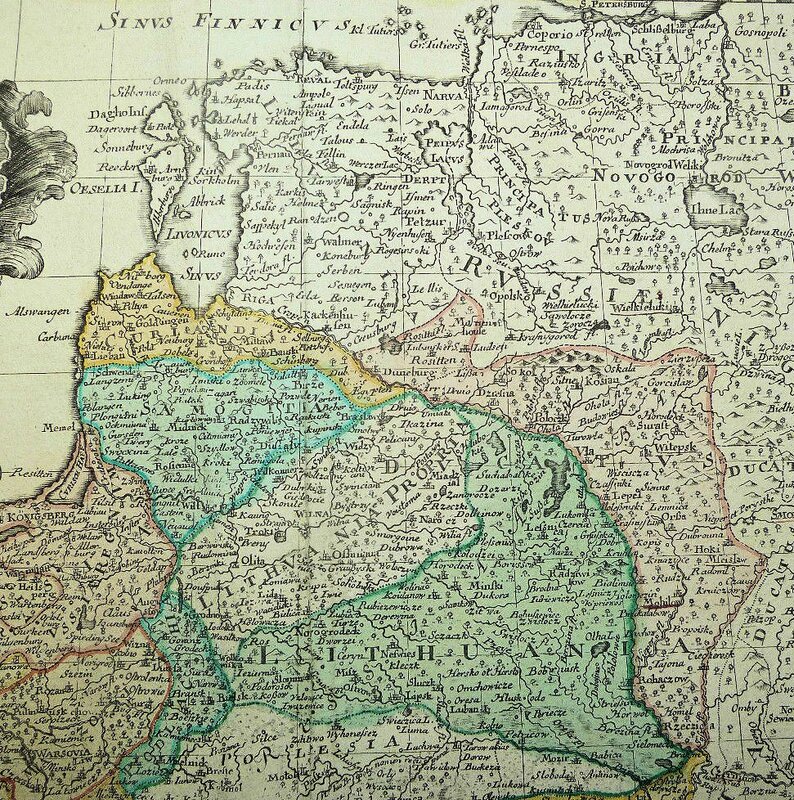 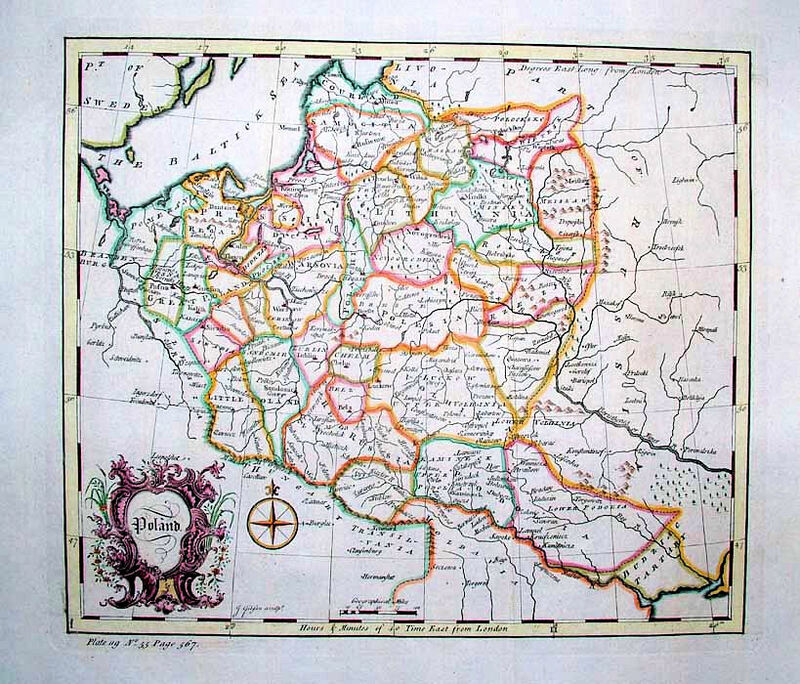 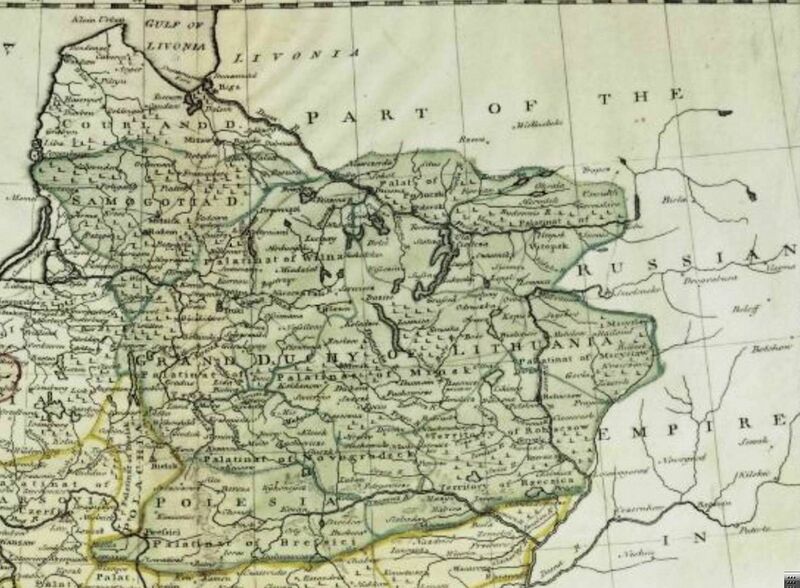 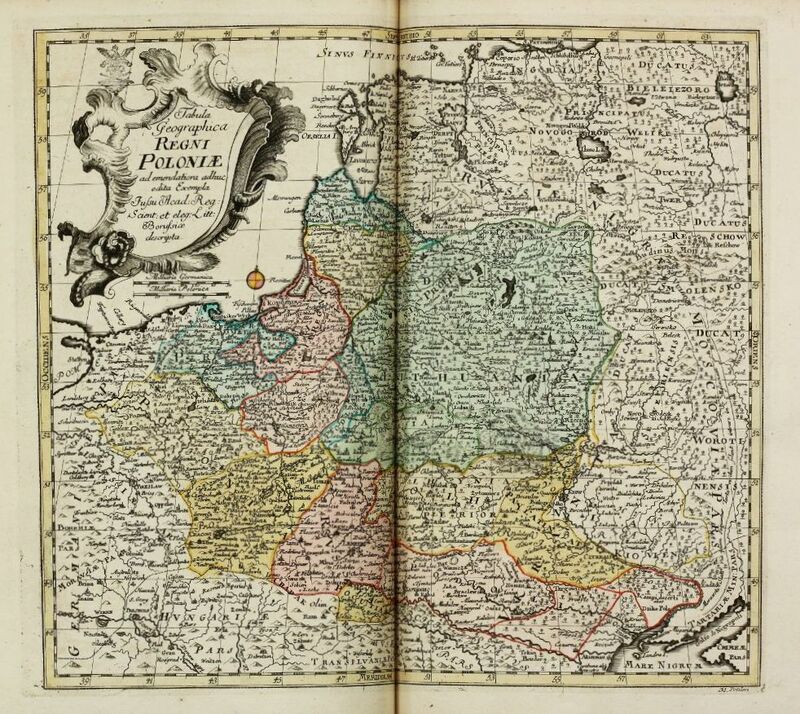 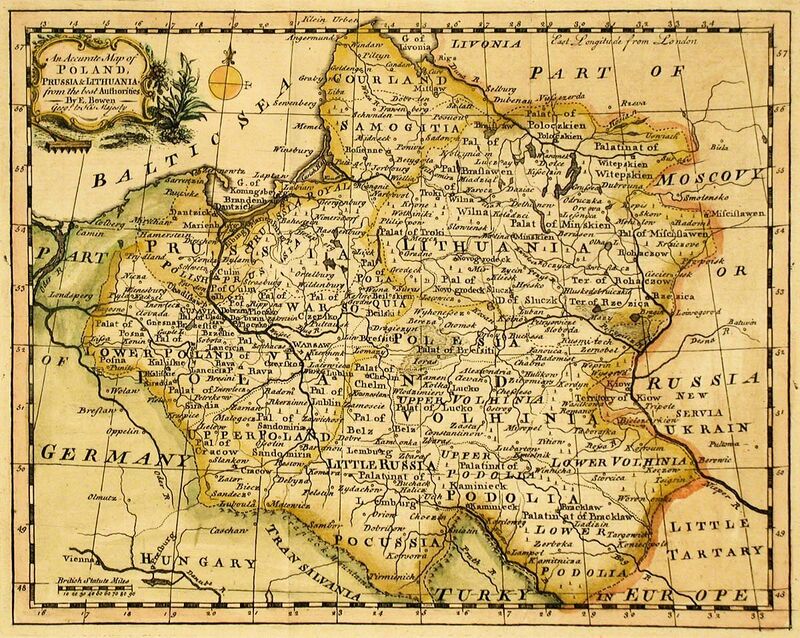 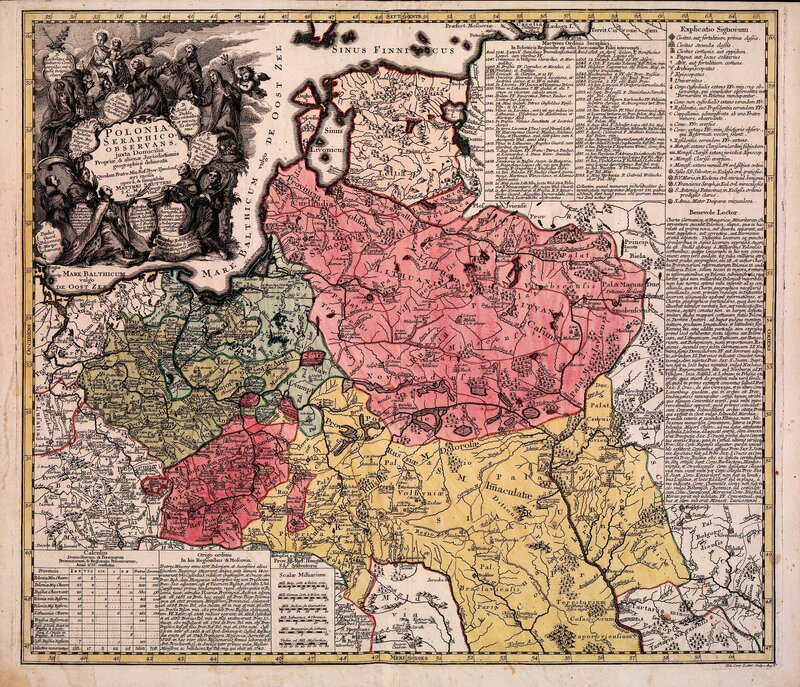 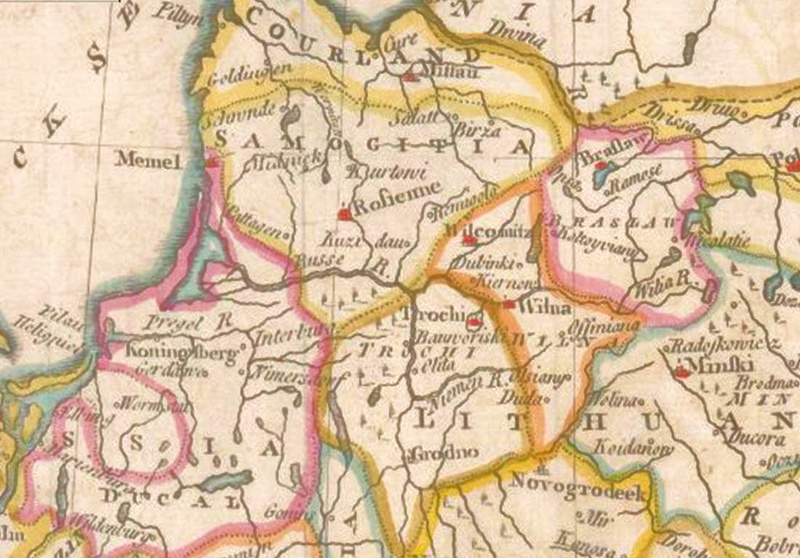 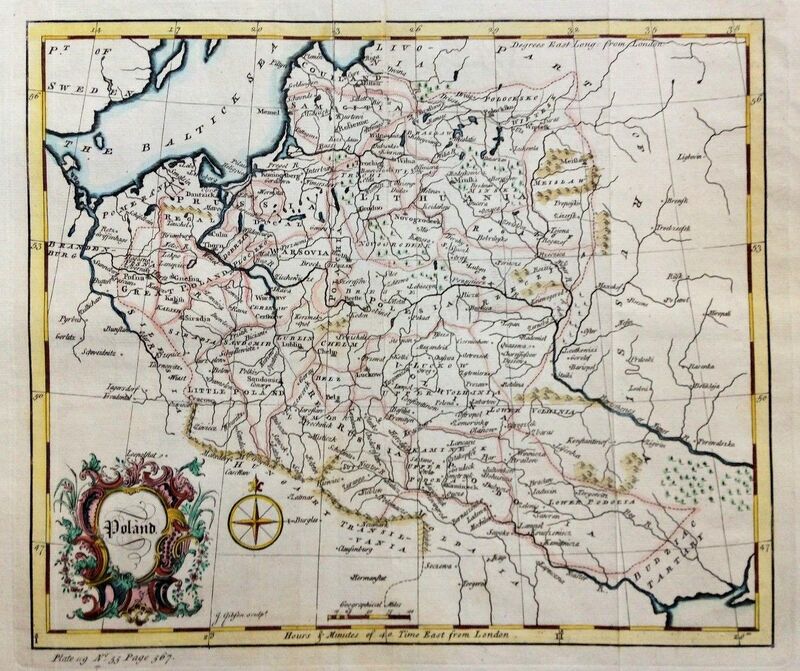 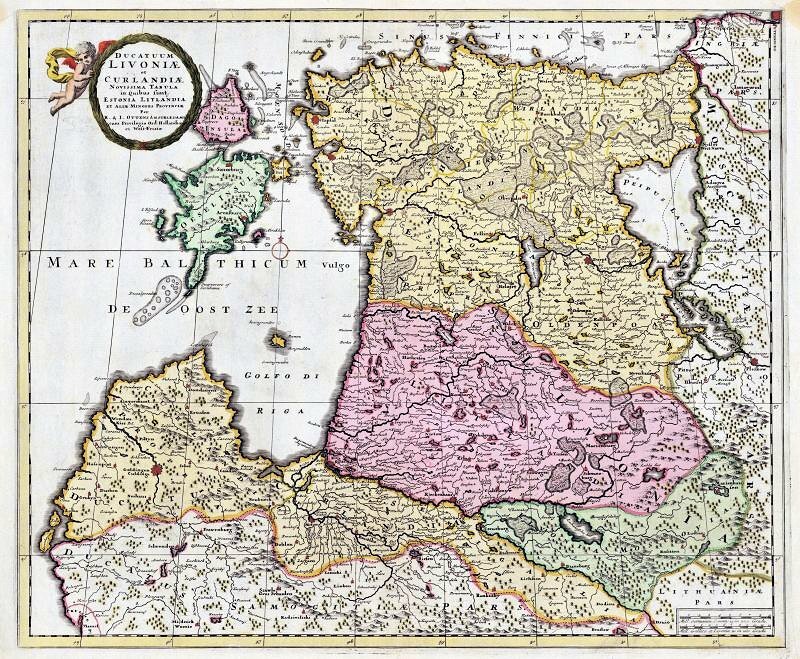 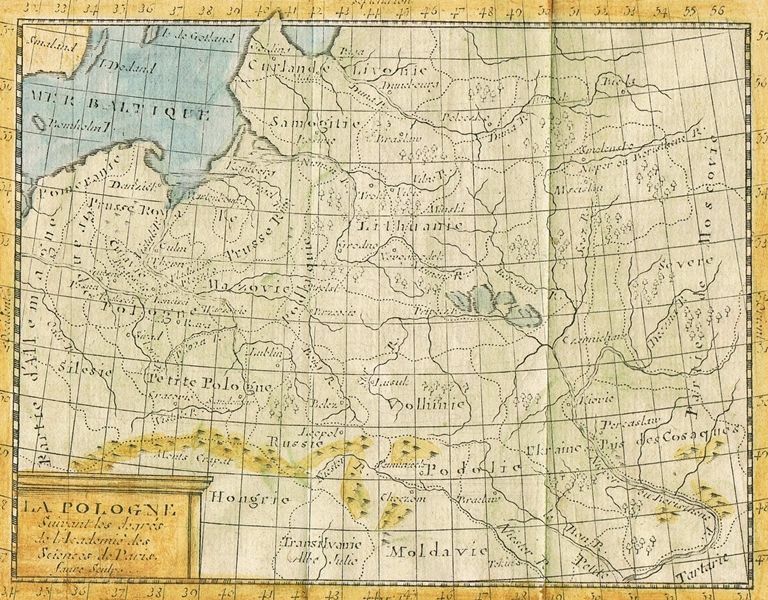 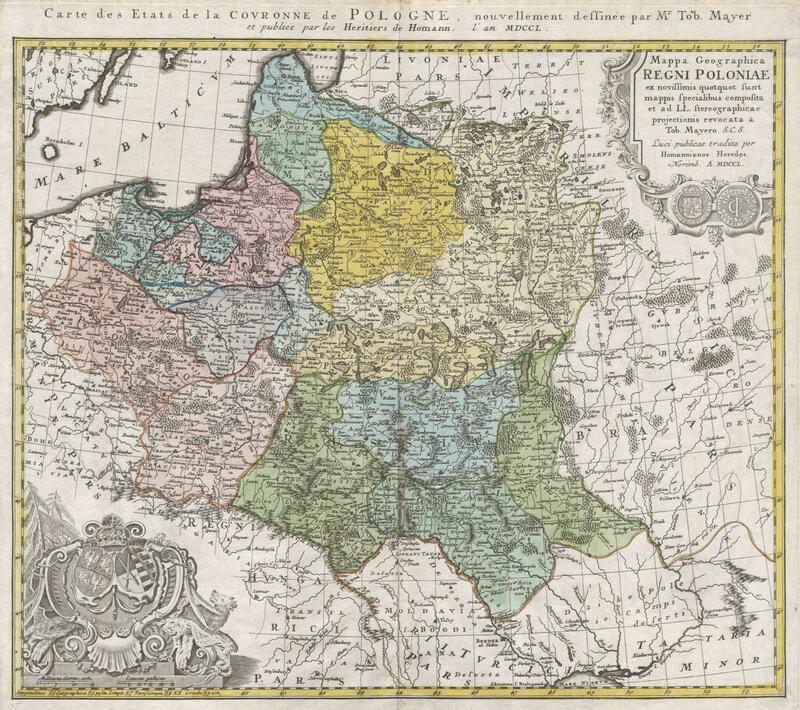 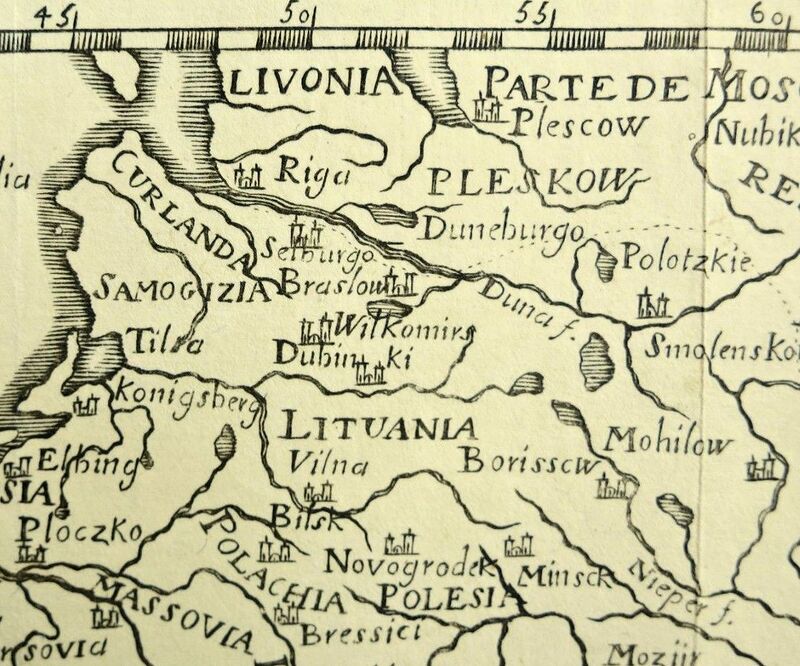 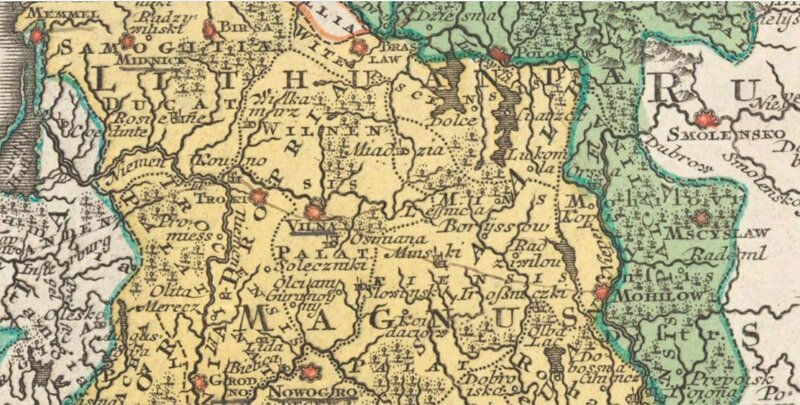 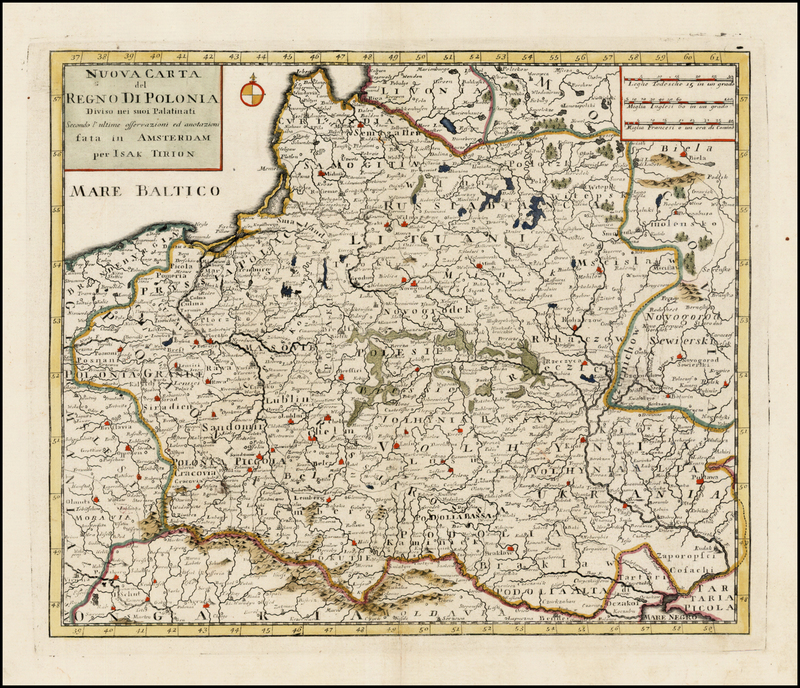 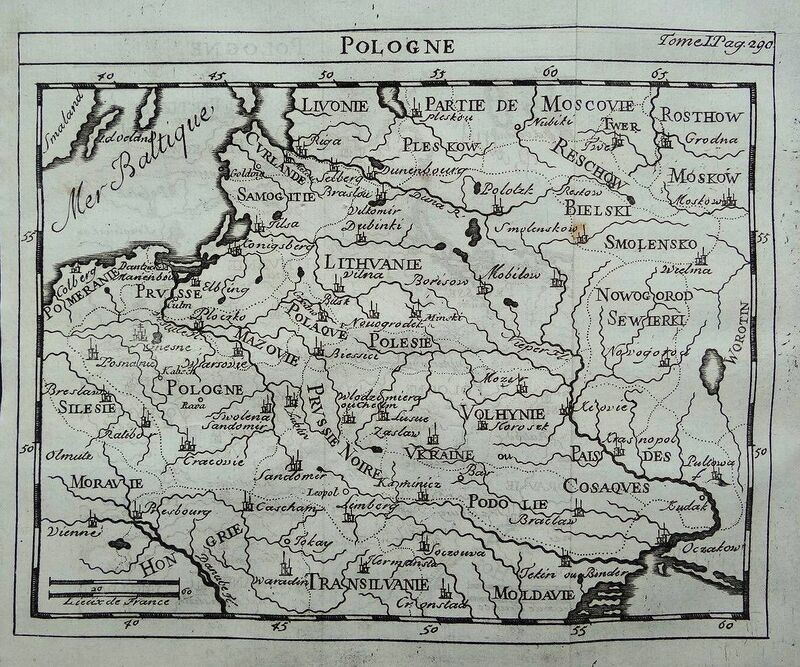 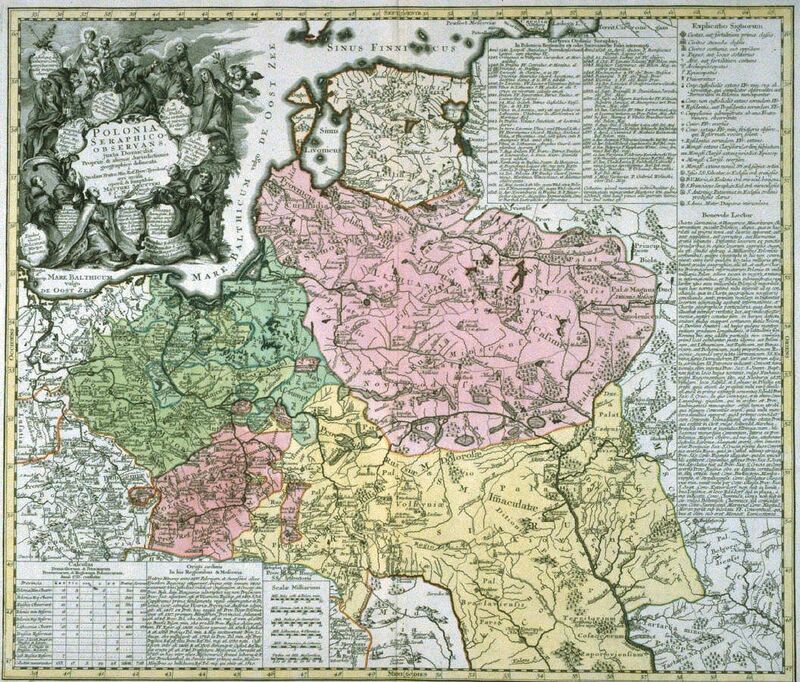 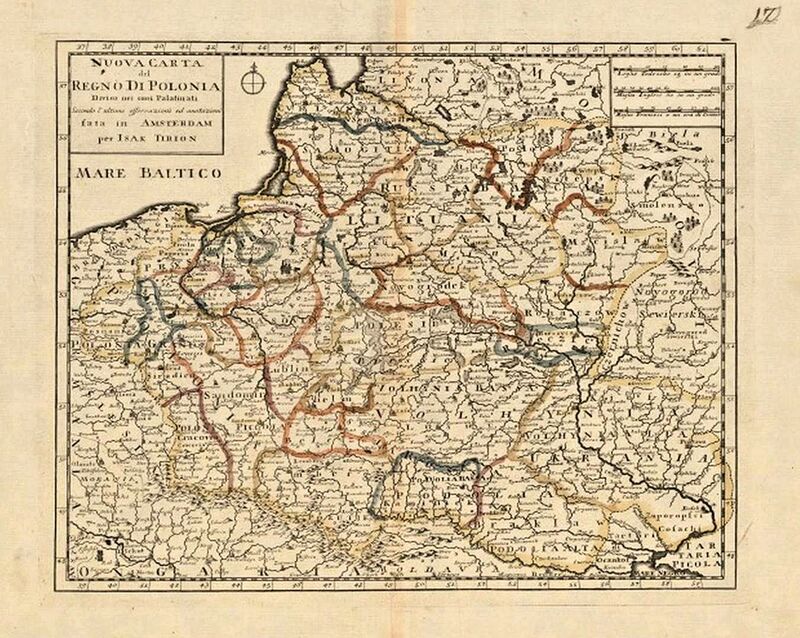 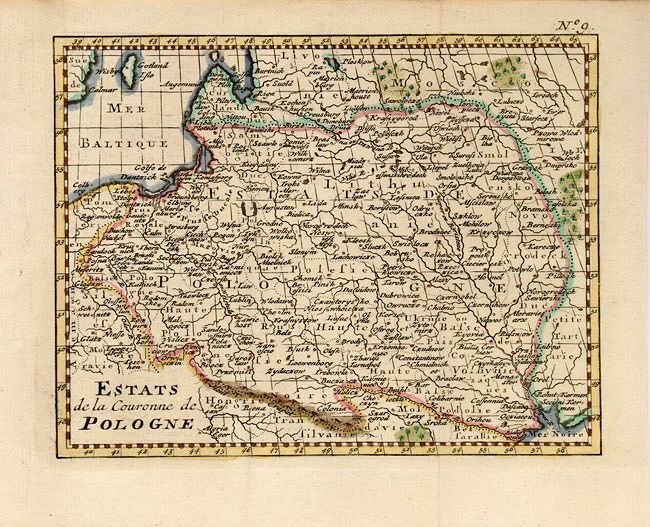 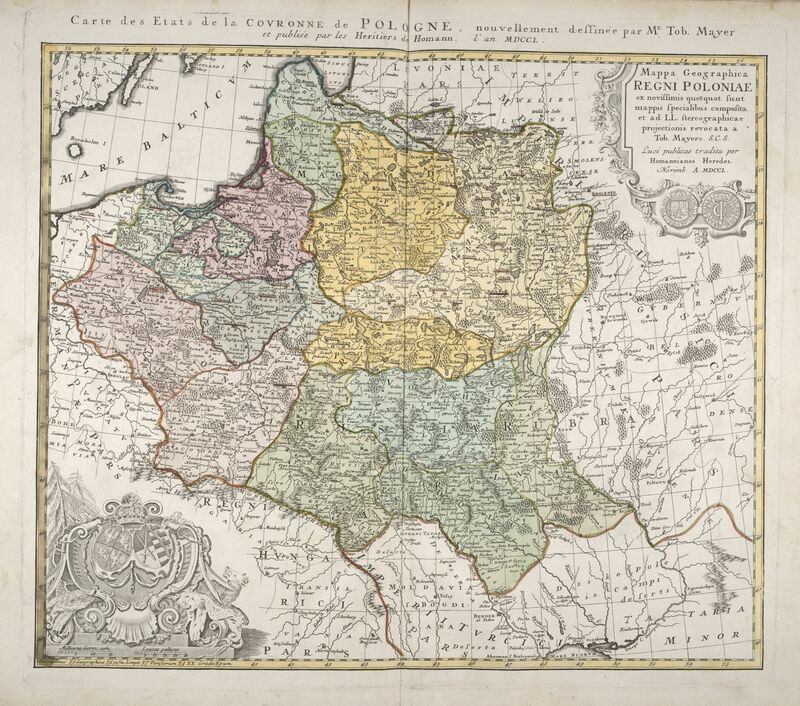 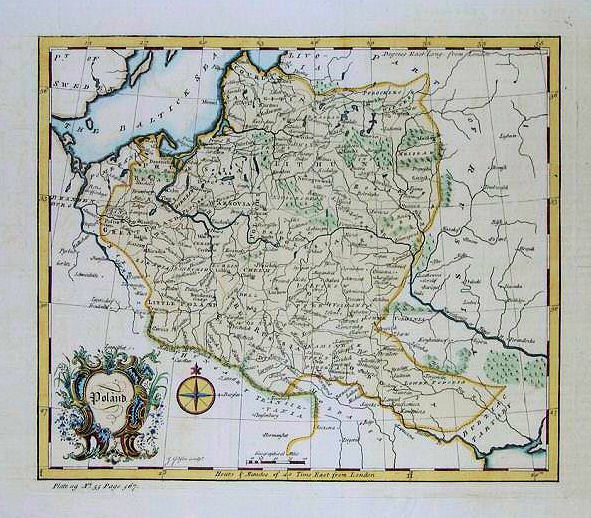 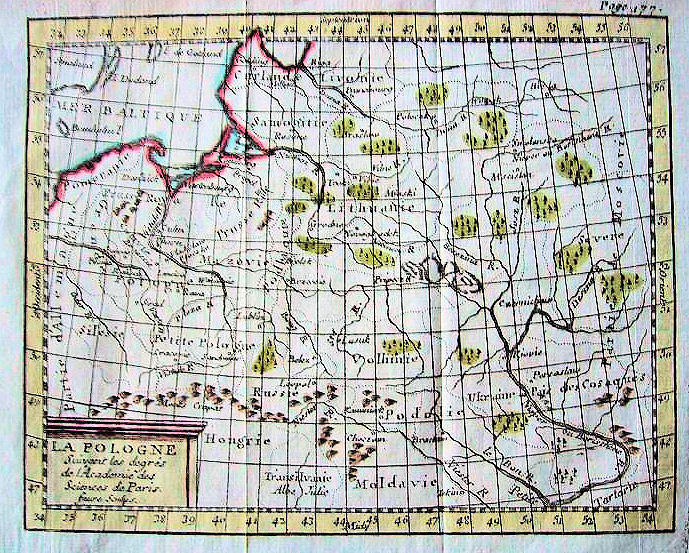 See the 1760 map from the second edition. 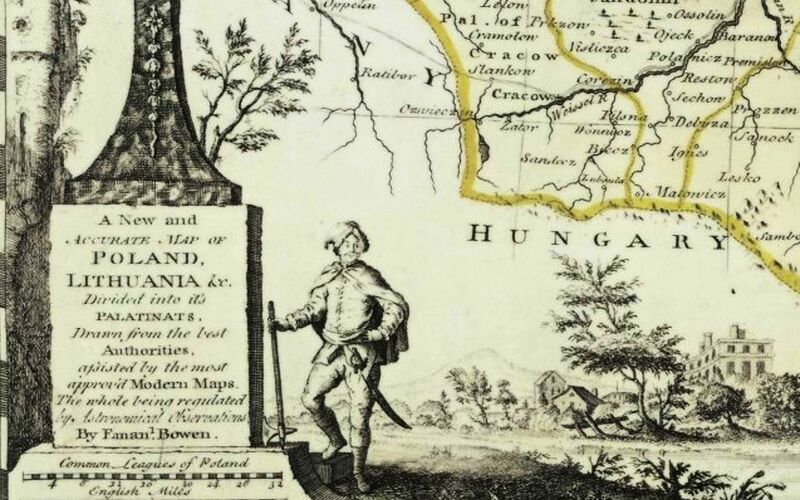 in two images. From Univ. 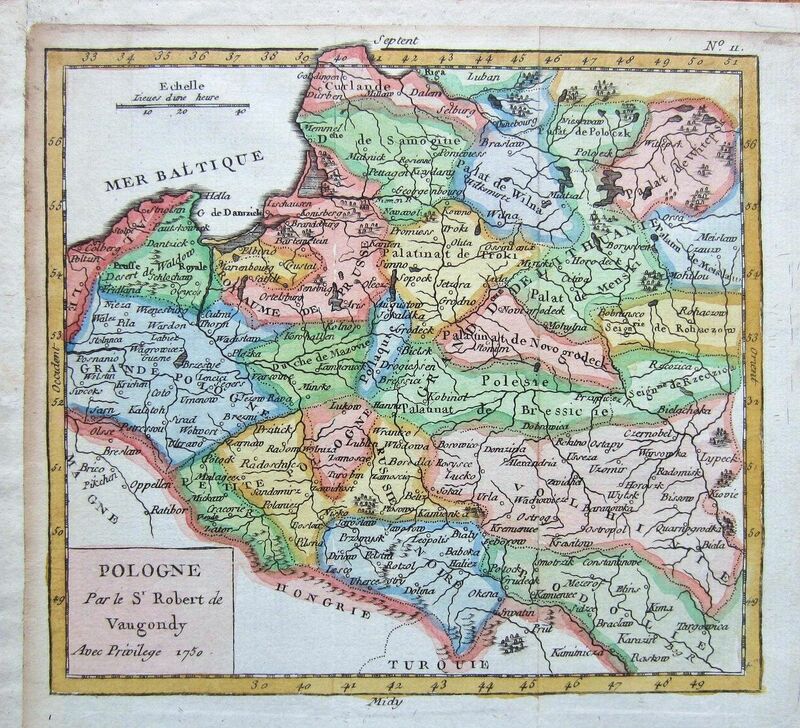 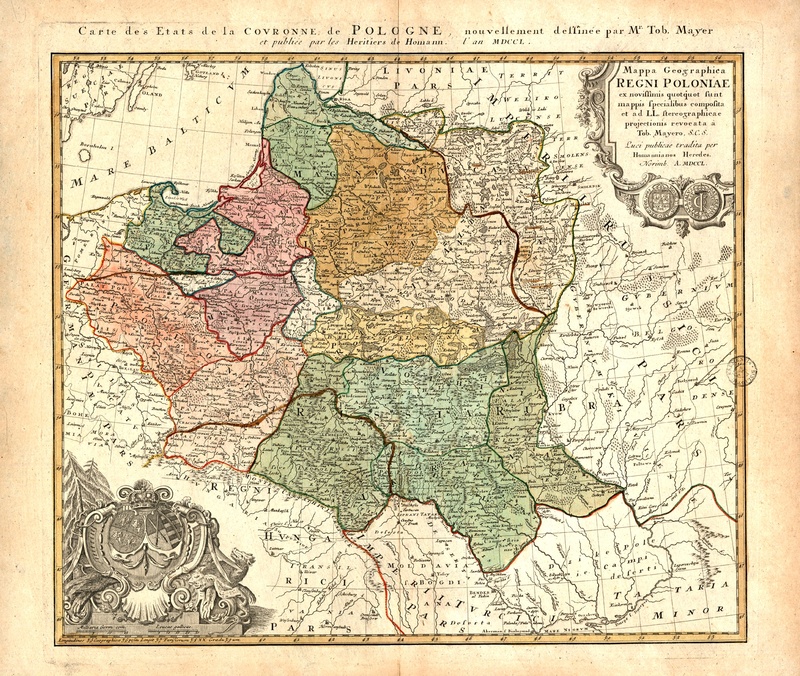 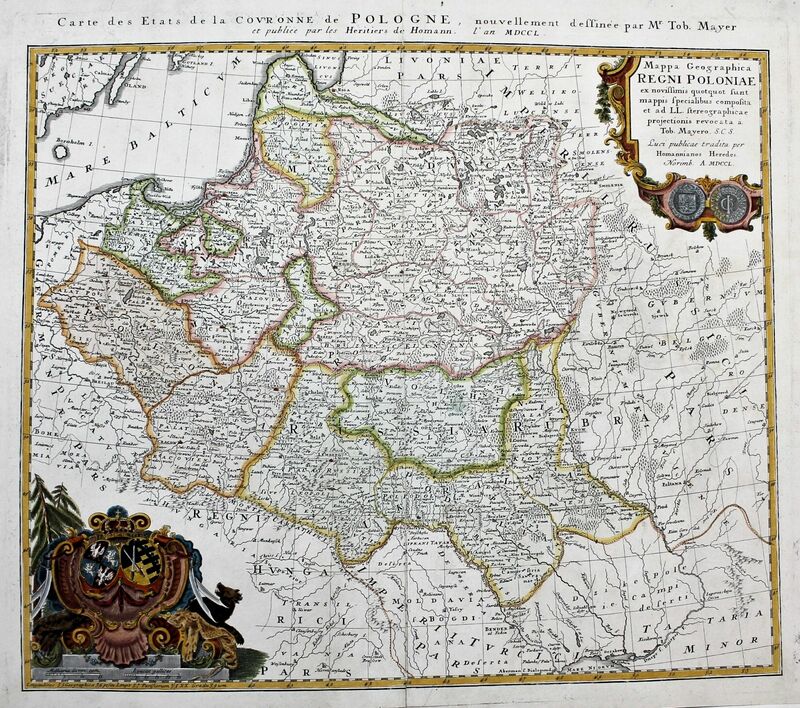 L'Histoire Moderne, Generale et Politique de L'Univers,"
Palatinates, according to the latest observations and annotations, printed in Amsterdam by Tirion), Venice, in five versions based on Delisle. 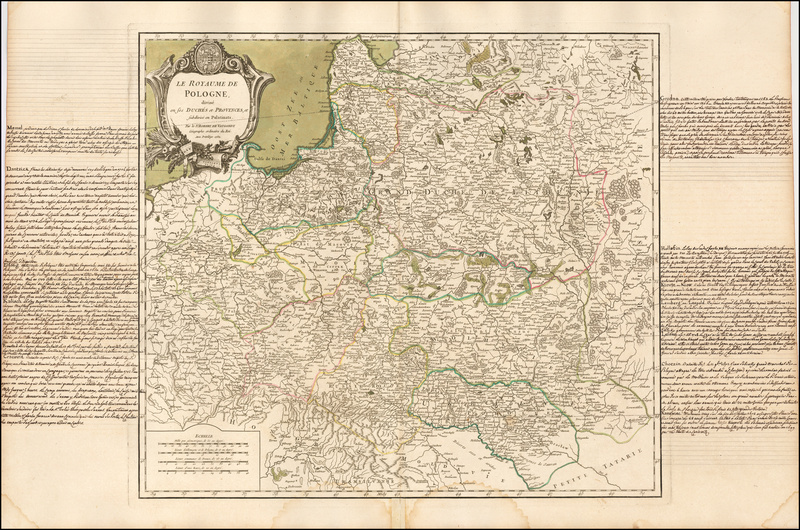 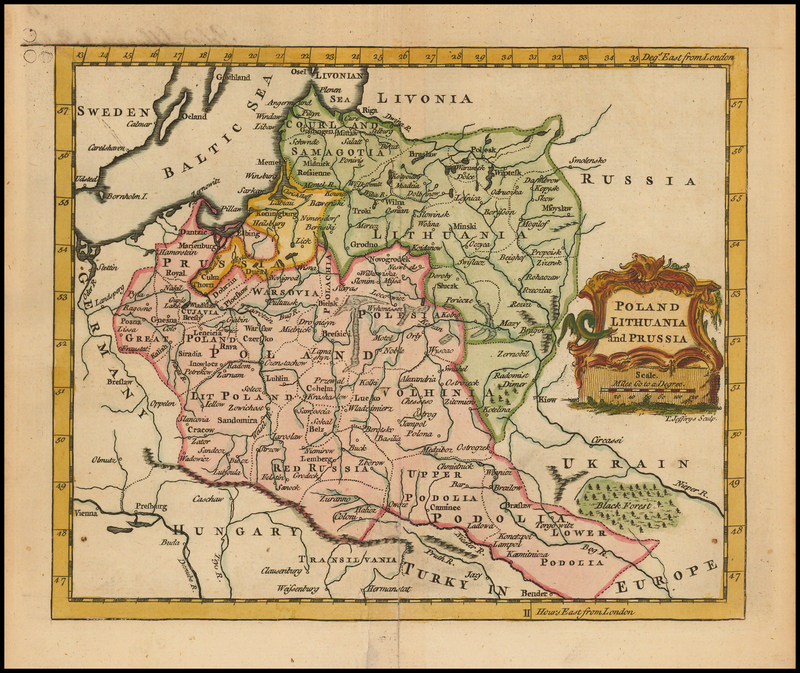 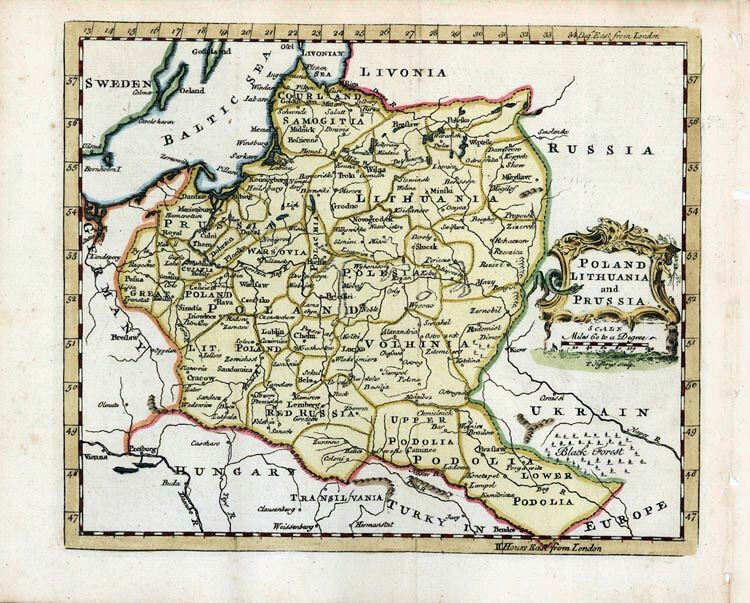 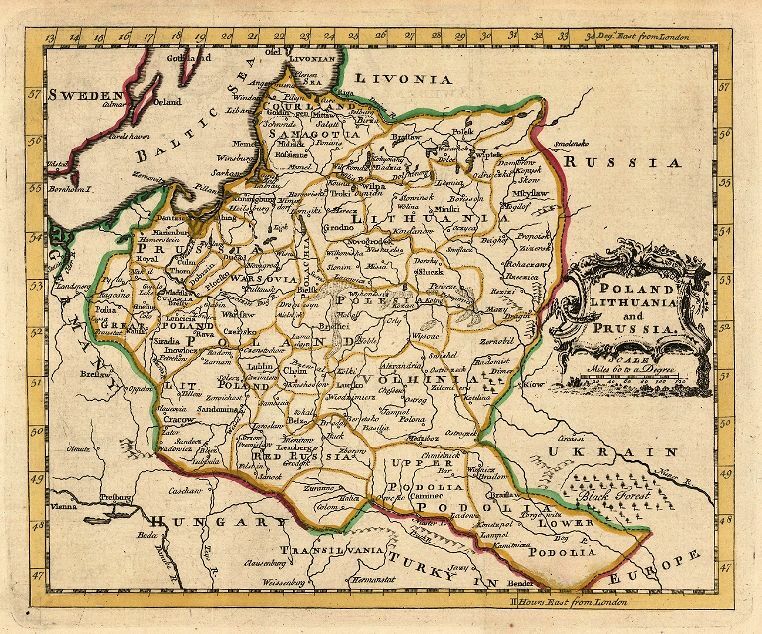 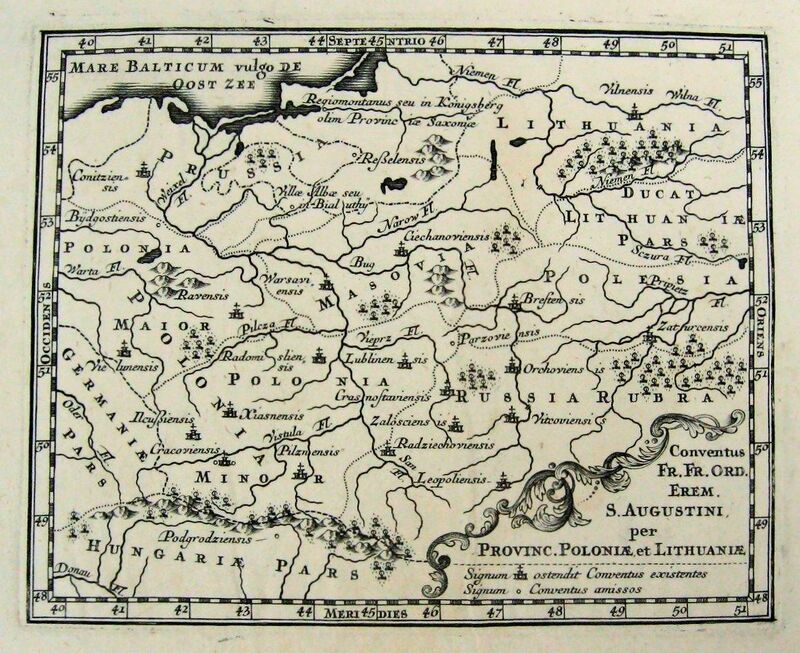 Prussia & Lithuania...," 7 x 9 inches, in two versions. 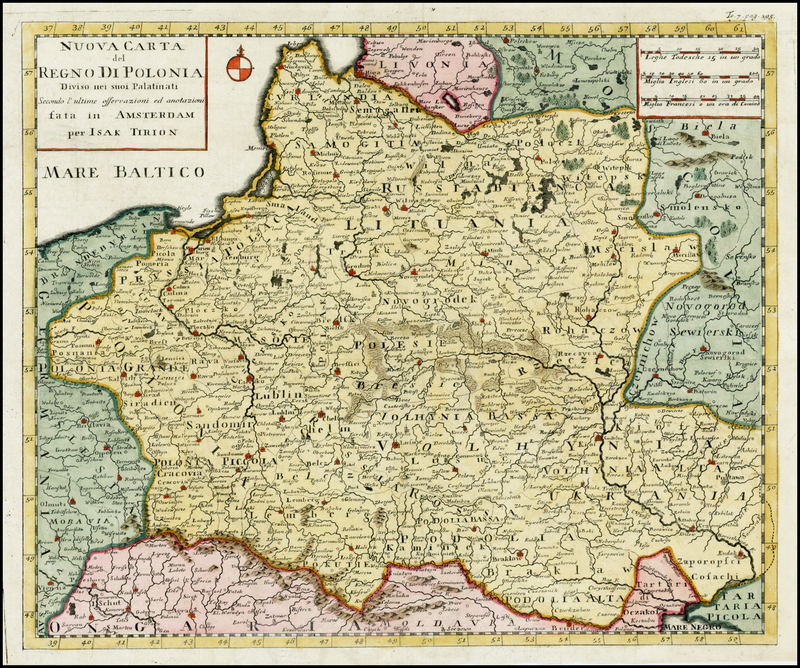 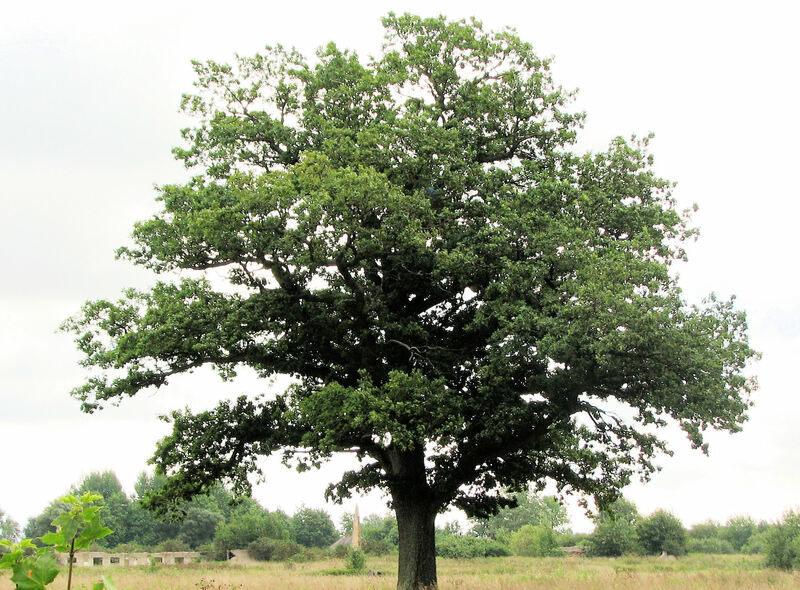 and the Grand Dutchy of Lithuania,"